The Keith Michael Sullivan Foundation was organized in loving memory of Keith Sullivan. Keith was an avid sportsman, he was dedicated to family values and he adored children. When considering these values, the KMS Foundation was formed to carry on Keith's memory and to memorialize him in the way he lived his life. The KMS Foundation awards grants to organizations and programs that offer services to the children of our community, focusing primarily on the overall well being of children through safety, education and social services. We are very proud that the Foundation has been able to support a wide array of activities throughout the Greater Monadnock Region since its inception. We are a 501c3 public charity, all donations are tax deductible to the extent permitted. 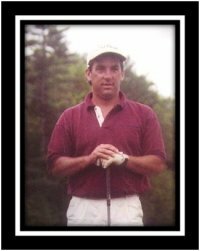 ﻿The 19th Annual KMS Foundation Golf Tournament will be held on Saturday, June 22nd, 2019 at Crotched Mountain Golf Club in Francestown, NH. At the close of each tournament are already thinking of ways we can make the tournament better for our golfers, volunteers and sponsors. While we do not actively raise funds throughout the year we do accept donations, hole sponsors and goods/services for our 'end of tournament' raffle all year long. Please see our Annual Golf Tournament page for more details! ​ a foursome but want to play. Let a board member know, we sometimes have open spots.